Smart India Hackathon was the non-stop digital product development competition, where problems are posed to technology students for innovative solutions. It aims at increasing creativity and expertise and provides the opportunity to the students to find crowdsources solutions that can improve the governance and the Quality of life of the people. 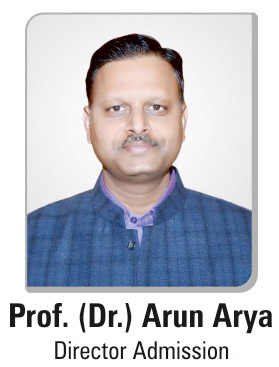 Keeping this in mind, Students of Computer Science Department of Arya College has participated in Smart India Hackathon Organized by Government of India to find some technical solutions related to the country. The coding contest was according to each state. Students from different Colleges, Universities or Communities are provided a problem-statement based on a State. Arya College chooses to solve the problem for the Ministry of road and Transport of the Government of Punjab. Smart India Hackathon The whole event comprises three rounds. In First Round, Students have prepared Power-Point Presentation on the different systems of Hardware and Software and displayed it online. The College was selected for the Second Round in Nagpur. They prepared a System that could detect the speed of any vehicle and trace the Number Plate using FASTag technology, which is known as Raspberry-Pi. This device could easily search and investigate the details of the person or the vehicle that is traced on the technology. The entire coding in the system was entered by the students of Arya College. The Grand Finale of the event was organized on 30th and 31st March 2018. The team of Arya College, “Trickesters” was comprised of 6 members including Aditya Jangid, Ashish Jangid, Aanchal Jain, Bhavek Trivedi, Rahul Aggarwal and Karan Ludhani. They were mentored by Jayprakash Jangid of their own team. The team has achieved this success due to the motivational and technical guidance of Vibhakar Pathak Sir from the college. He has asked students to get patent of the whole system and apply it to the government of India individually so that they could somehow somewhere contribute to the development of the society.